Boldo (Peumus boldus) is a popular plant used mainly to treat liver ailments and indigestion. The whole plant has a characteristic lemon and camphor smell. 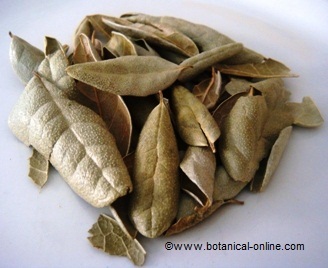 The parts that are used in phytotherapy are its leaves, although in some countries the bark is also used. Boldo is a perennial shrub that grows in the mountainous and dry areas of Chile. 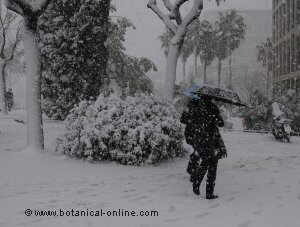 It has also spread in the Mediterranean region and North Africa. For its properties for digestion, it is possible to find boldo between the aromatic spices of traditional Chilean cuisine. 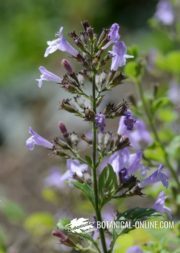 This medicinal plant, used since pre-Columbian times in Chilean folk medicine, was a plant used by the Mapuches to treat different ailments: from rheumatism, to the most common digestive and liver disorders. 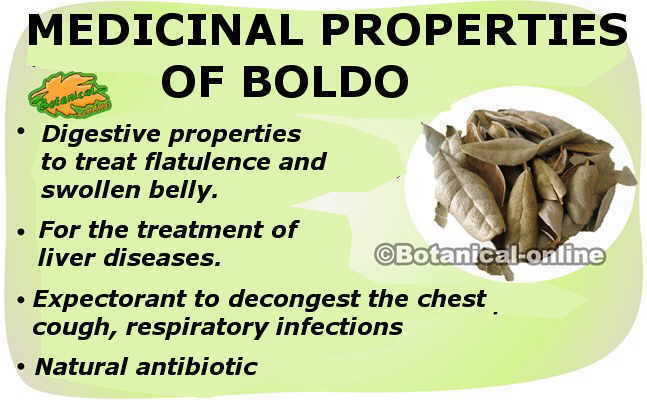 At present, Boldo is one of the medicinal plants most used in herbal recipes to treat the liver and gallbladder. Boldo contains about 20 alkaloids, among which boldine stands out. Boldine stimulates the functioning of the gallbladder, and has beneficial properties on the liver. Boldo treatments are able to change the chemical composition of bile and prevent the formation of gallstones or stones in the gallbladder. The effect of boldine on the liver is choleretic and cholagogue, which increases the production of bile in the gallbladder and favors its expulsion. Boldo is, therefore, a plant that fluidises and purifies the bile. To improve the effectiveness of these treatments it is advisable to carry out a diet for the purification of the liver. Scientific studies have corroborated the protective properties for the liver, due to boldine and flavonoids of the plant, among which, catechins. Attention!! : Boldo treatments should not be used to eject stones (or other hepatobiliary herbs) if an ultrasonography of the gallbladder has not been previously performed as it can be dangerous. Boldo is a plant suitable for reducing cholesterol, as it cleanses the liver and cholesterol from bile, helping to eliminate these fats from the body. Scientific studies have shown that the use of boldo for 90 days reduces levels of bad cholesterol and transaminases. People with jaundice, cirrhosis, fatty liver problems, hepatobiliary insufficiency, biliary dyskinesia and in depurative diets may also benefit from its effects. (Take 1.5 to 2.5g of dry leaves in 200ml., three times a day. Treatments longer than 4 weeks are contraindicated). For proper treatment of the liver it is required medical advice, especially in cases of liver disease. It is recommended to accompany boldo treatment with a liver cleansing diet. It consists of the use of natural foods and hepatobiliary plants that stimulate the functions of organs of elimination of the toxins of the organism, like the liver, to normalize the hormonal levels, to decongest the liver and to improve the general health of the organism. Boldo is a digestive plant. The fragrance or aromas that this plant gives off has a toning effect of the digestive system. 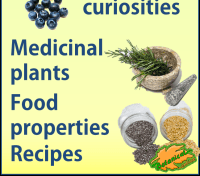 Boldo essential oil is rich in cineol, an aromatic substance with hepatotonic and stomach-protector effects. Boldo is a remedy for stomach pain and gastritis, taken in infusions or herbal teas; Used as a spice in the kitchen helps to lighten digestion. Season your legumes and the dishes of difficult digestion with this spice. Boldo also intestinal cramps because of its antispasmodic properties. (Take 1.5 to 2.5g of dry leaves in 200ml of water, three times a day after meals.Treatments of more than 4 weeks are contraindicated). Boldo treatments may have a slightly laxative effect because of their choleretic properties, since bile expelled in the intestine is irritating and causes a response. 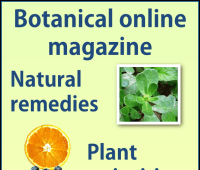 Summary with the main medicinal properties of boldo and its possible benefits in the treatment of diseases. 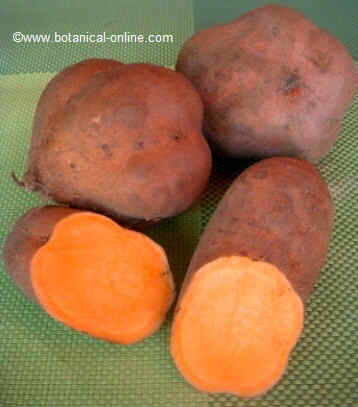 Boldo also constitutes a good sialagogue remedy (it stimulates the secretion of saliva) and it is also oreexigenic (It increases the appetite). This makes it possible for people with problems of dry mouth, lack of appetite, anorexia, decay, want to gain weight or with Sjören syndrome. (Infusion to whet the appetite: take 1.5g of dry leaves in 100ml of water, 15 minutes before meals.Treatments of more than 4 weeks are contraindicated). – Halitosis: infusions or chewed leaves are traditionally indicated as a remedy for bad breath. Boldo helps fight insomnia: the whole plant is rich in boldine, essential oils (limonene, eugenol, cimene) and glycosides (boldoglucine), with sedative and calming effects of the nervous system. Boldine may have a mildly hypnotic effect. 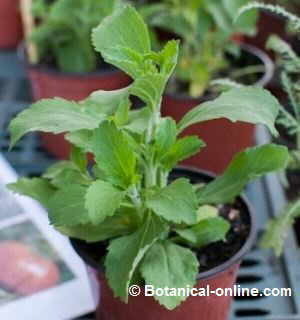 The herbs of this plant are indicated for people with punctual insomnia, nervousness, stress and anxiety. (Calming infusion: take 2.5g of boldo dry leaves, in 100ml of water, before going to sleep, treatments over 4 weeks are contraindicated, consult other plants for nerves). In very high doses, these components have narcotic, hypnotic and convulsive effects, being totally contraindicated by their toxic effects. * Further information on Toxicity of boldo in the above listing. – Increases the immune system: In vitro studies have demonstrated immunomodulatory properties of boldo extracts. It is a plant suitable for seasonal changes, colds or during risk of contracting viral diseases, such as influenza. (Take 1.5 to 2.5g of dry leaves in 200ml of water, three times a day after meals.Treatments of more than 4 weeks are contraindicated). – Natural antibiotic: The intense aroma of boldo leaves warns of its components to fight against its natural predators. Boldo contains at least 11 nematicidal components in its essential oils (notably cineole and ascaridol), suitable to fight intestinal worms. Traditional medicine from Chile, where this plant is endemic, use it as a remedy against gonorrhea. Ascaridol present in essential oil is a component against malaria, which has been used in the past as a substitute for quinine in the treatment of malaria. Boldo extract is effective against Candida albicans, Escherichia coli, Pseudomonas aeruginosa and Staphylococcus aureus. Boldo is rich in cineol or eucalyptol, a component also abundant in essential oil of eucalyptus. Because of its expectorant properties and against the cold, boldo syrup is prepared for the cold, to treat cough and chest congestion. It is also used in poultice. (Boldo syrup recipe: infusion of 1 liter of water with 60g of dried boldo leaves, boiled and added half a kilo of whole sugar or honey. Treatments of more than 4 weeks are contraindicated). – Diuretic: boldine is a recognized diuretic that helps drain and combat fluid retention. It is a common component in remedies prepared for fluid retention, such as Drenaxir Jarabe®. – Arthritis: because of its anti-inflammatory properties, boldo is a plant suitable for people with arthritic pain and rheumatism. It is recommended to accompany with anti-inflammatory diet. – Migraines: Due to the soothing and sedative effect of the plant, boldo compresses are applied on the forehead to treat migraine headaches and strong headaches. (Apply boldo compresses). – Muscle relaxant: Boldo contains at least 6 myorelaxant or antispasmodic components, among them boldine (alkaloid), cineol and limonene (essential oils). Myorelaxant substances are those that have the property of stretching out and relieving the muscular pain. Boldo leaf plasters are applied, and so are already known in the remedies of the ancient Mapuches, on sprains, dislocations or cervical pain. (Prepare compresses, plasters, or poultice poultices). – Expectoration and decongestion of the chest: Boldo patches are rich in cineol or eucalyptol, a substance abundant in eucalyptus that help decongest and cough up your lungs. (Boldo plasters or cataplasms). – Vaginal infections: Boldo baths can help treat vaginal infections caused by Candida albicans due to its fungicidal components. (Boldo medicinal baths). – Ear infections: due to its antiseptic qualities, the oil obtained from the maceration of the leaves is used to treat ear infections. It is also effective against pain caused by otitis, to help deflate the area. (applied the oil macerated with boldo). – The doses indicated here do not replace the medical prescription. Consult the side effects, contraindications and toxicity of the treatment in the sections of the superior listing. – Boldo treatments should be short: do not exceed 4 weeks in any case. – Do not overpass the recomended dosis. – Boldo can be an abortive plant. Its safety in pregnancy has not been tested, so it is recommended not to be used in pregnant women due to possible abortion problems. Consult your doctor if you think you may be pregnant. – Infusions or teas: take from 1.5 – 2.5g. of dry leaves, three times a day. Take 15-30 minutes before meals as an appetizer and to stimulate salivation. After meals as a digestive infusion. It is not recommended to exceed 10g. newspapers. Treatments should not be continued for more than four weeks. – Capsules: according to the manufacturer’s instructions. Generally, for 500mg capsules, take 2 tablets, 3 times daily after meals. Treatments should not be continued for more than four weeks. – Boldo syrup: in 1 liter of water. 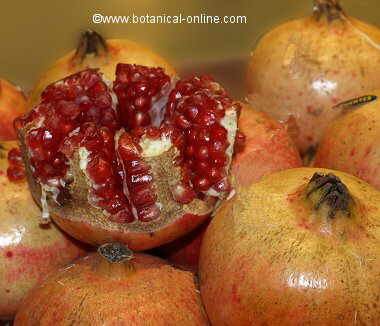 it is prepared an infusion with 60g. of dried boldo leaves. It is boiled and 500g of whole sugar or honey are added.. To treat persistent cough. – Dry extract: 0.2 to 0.6 g. up to date. Treatments should not be continued for more than four weeks. – Fluid extract: 0.1 – 0.3 ml. (1: 1 in 45% alcohol), 3 times daily. Treatments should not be continued for more than four weeks. – Compress: a decoction of 20g of boldo leaves for 1 liter of water is prepared. Apply as a compress on the forehead to treat migraine and headaches. – Plaster: Grind dry leaves into a powder, crushing them well. Mix the power with the half of hot water until it forms a thick mass. Apply warm on the skin, with a fine gauze. In neuralgias, rheumatic pains, arthritis, chest congestion or muscular pains. – Cataplasm: tGrind dry leaves into a powder, crushing them well; Mix the power with the half of hot water until it forms a thick mass. Apply directly to the skin. For rheumatic pains and muscle aches. – Hot boldo baths: infusion of 20g. of leaves per liter of water, applied hot with the aid of a sponge, against rheumatic pains, arthritis and muscular pains. It can also be prepared with a few drops of essential oil. – Boldo oil: consisting of a maceration. Prepare 5g. of boldo leaves in 40ml. olive oil or almonds oil for 2 weeks. Shake each day once or twice, and keep in a place with sunlight. Strain it and apply for ear pain (1-3 drops) at room temperature. It can be applied on the skin as an antibiotic and mild anti-inflammatory. – Essential oil: 2 – 4 drops per dose. – Massage oil with boldo: the essential oil is diluted in a base oil.